The natural structure you see in the photograph is a fairy chimney. 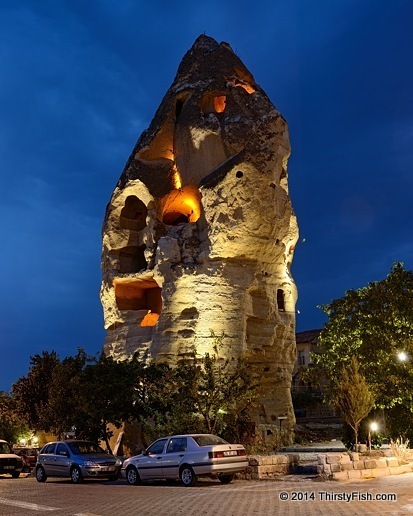 This same fairy chimney in Goreme appeared in an earlier post. Hoca Nasreddin reads in a newspaper that "a vast majority of car accidents happen within a few miles of your home". So, he moves out. But knowing Hoca, he was most likely fed up with his neighbors, or his wife, or both.